Work for Google Cloud Vision API? Learning about Cloud Vision API? "Another great Computer Vision API from google"
Google Cloud vision api is developed for training and testing computer vision models and also reusing the pretrained models developed by the computer vision team.It is very simple to use,you just have to create your account on google and get yourself api key and enable cloud vision api,Thats it you are ready to go.It is so much simple but accurate enough to give you precise results.Moreover if you are a newbie you get 300$ credits on google cloud which you can use for cloud vision API.I'll give you one example about its simplicity.Suppose you want a ocr for your software and you don't have time to code it from scratch at that time you use pretrained OCR model of google vision to detect characters from the image.It give you accuracy of 80% which is more than good for a pretrained model. The pricing is little high and if you are using it for personal use than definetly its gonna be heavy on you pocket. It is definetly recommended to use google cloud vision api for character recognition,label detection,object detection and other functionalities of computer vision which are pretrained in google vision api and the models are very much accurate and they give the accuracy more than any other model or api gives,though it is little costly but if you are using it for commercial use than it is definitely recommended because I have used it and I seriously loved the API. I have used computer vision library of google cloud for developing label detection and afterwards OCR detection using the pretrained model of google cloud vision api and then integrated this functionality into the software our team was developing for our client.For security reasons i cannot reveal more details but seriously Google cloud vision api had made our work sorted and had reduced much of our time and workload. "I love their new updates to OCR, never saw better text extraction api." Love their image labeling and the text extraction feature which have been improved dramatically in the last year since google i/o 17. The image labeling has become so accurate that it can detect landmarks and companies logos. Also i can integrate google's vission api in mobile apps which is very useful actually. What i dislike is that when the api detects the main object in the picture, it ignores other small things or at least relativley small to that dominant object. For those who are always dealing with images, you should definitely try google's powerful cloud vision api as the machine learning is advancing so fast and you should get advantage of it. As a backend developer, i work with data and databases all the time, so filling these data manually is a pain. By using google's vision api i extract all the data for example from catalog that contains images of products and process them in cloud then fill my database's tables. Thanks to the great OCR and text extraction feature. 1) It is very simple to use, well-tested. 2) it supports a lot of languages. 3) It returns bounding boxes that surround words, paragraphs or even the entire text and the text as a string within the box with a level of confidence for each word. 1) There is no much documentation, some example is provided but I believe it is not enough. 2) It doesn't work very well on some language. "Among the best OCR software in market"
Try it! For Latin-based languages, if you're not worried about diacritics, then this should work very well. And it's not as expensive as a lot of products. "I have integerated Google cloud vision api in my android apps and was amazed by the results." Image labeling and Face recognition is what i find interesting in cloud vision api. You are limited to specific programming languages not like other competitors. 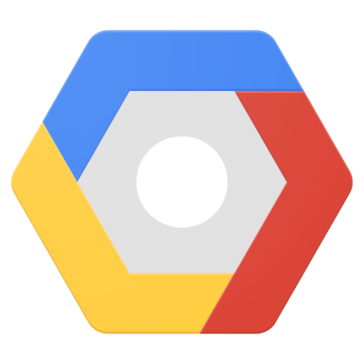 There is three big competitors out there when it comes to vision apis, but by using google's cloud vision api you have to opportunity to integrate it with all of google's other services which most of you use at least one of them daily. You won't regret working with it. With google's strong knowledge in machine learning and artificial intelligence field, implementing vision api in my android applications have become so easy and also it met my needs. "Some labels beat no labels"
i love being able to find the right images i need for series quickly and without exhaustively searching for them. I love how you can scan an object, and it can figure out what the object is, or what it correlates to. How easily it can link whatever object you scan to something completely different dependent upon what else is in the image. It provides ease of access to locating where on the warehouse floor something may be. "Great API but would like it to automatically read PDFs"
Its super easy to use and really precise when using the API to predict the images. I like how easy it is to get started and the quality of the models. It’s still a little cumbersome to spin up on it and some of the qwiklabs have some issues. How easy it was to integrate the API into our react application. Nothing I can think of currently, the API has been very easy to use! Nothing yet; the UI can be hard to figure out at first. Always a learning curve with technology. "Not concise when it comes to analytic." Too many graphs, not enough data points. Learning about Google Cloud Vision API? * We monitor all Google Cloud Vision API reviews to prevent fraudulent reviews and keep review quality high. We do not post reviews by company employees or direct competitors. Validated reviews require the user to submit a screenshot of the product containing their user ID, in order to verify a user is an actual user of the product. Hi there! Are you looking to implement a solution like Cloud Vision API?